Cover Art Unveiled for ‘Goblet of Fire’ Illustrated Edition! The cover art for the highly-anticipated hardback illustrated edition of Harry Potter and the Goblet of Fire released today, and it is every bit as charming as the first three editions by renowned illustrator Jim Kay, teasing, from the first glance, all the full-color magic to be discovered in the pages therein. 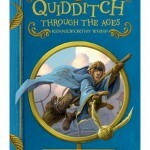 And not only has Bloomsbury, the UK publisher, and Scholastic, distributor for the U.S., revealed the delightful cover for the book due in stores Oct. 8, 2019, but they have also shared a look at select interior pages, hinting at the true treasure trove to be found in yet another gorgeous adaptation of J.K. Rowling’s work. Once again, Kay succeeds in bringing the wizarding world, and Harry’s journey as Triwizard Champion, to life in a way unlike any other. IT’S HERE and it’s on fire ?? ?. Behold the cover you’ve been clamouring for: Harry Potter and the #GobletOfFire by J.K. Rowling, illustrated by the phenomenal Jim Kay. 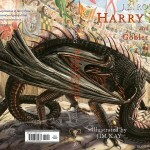 Bloomsbury’s preview above reveals Kay’s take on some of the iconic moments in the story, depicting the scenes when Harry’s name unexpectedly bursts forth from the enchanted Goblet of Fire and when Harry emerges from the tent to face the Hungarian Horntail and an arena of gawking spectators. 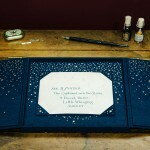 Pottermore also announced the news and featured a gallery of nine images from inside the book as well. 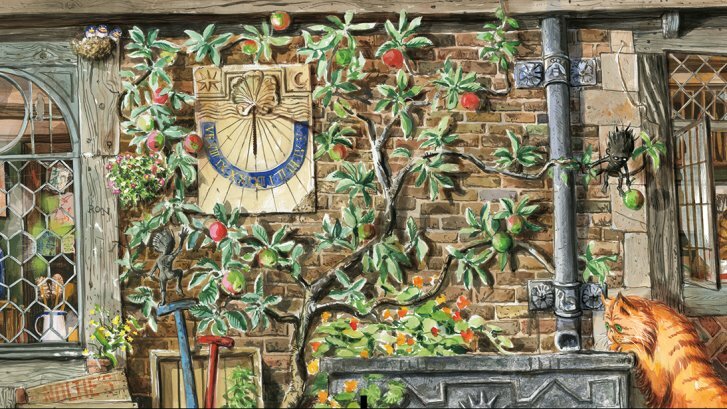 The gallery includes the Goblet of Fire scene unveiled by Bloomsbury but also features eight additional new images, some of which also appear on Scholastic’s site. Fans get a glimpse of Kay’s breathtakingly-detailed work in his depictions of the Burrow, the Quidditch World Cup, the Chinese Fireball, Cedric and Harry spying the Twi-wizard Cup through the depths of the maze, the long trek to meet Amos Diggory at the portkey and the glorious clutter of Molly Weasley’s kitchen, among others! The book includes over 115 works of art by Jim Kay–magic in its own right!–making this edition a must-have collector’s item for the Harry Potter fan, who will both read and lovingly pour over the latest incarnations of all their favorite characters and plot points. Take a look at the full cover art below! U.S. fans can pre-order a copy through Scholastic, here. UK residents can pre-order through Bloomsbury, here. Additionally, Bloomsbury is offering an exclusive Goblet of Fire tote bag with pre-orders of the standard Illustrated Edition or an exclusive Goblet of Fire shopper bag with pre-orders of the Illustrated Deluxe Edition. Orders must be placed before Oct. 7, 2019. The offer is only available to UK and ROI residents while supplies last.